The increased interaction having a chat option for your website visitors creates drives an increased volume of leads, the only downside being that there needs to be an operator available to actually chat with visitors. 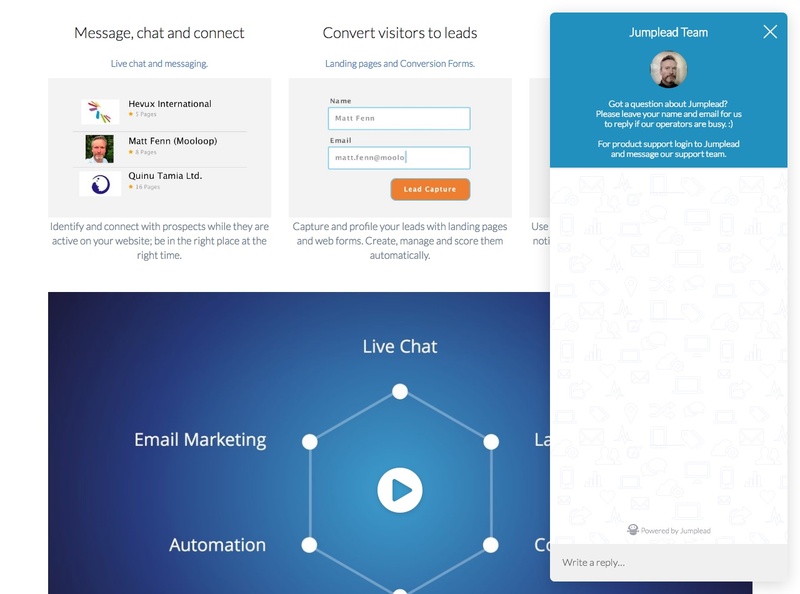 Chat allows you connect with your visitors when the time is right for them, and chat software such as Jumplead will automatically save conversations to your lead's profile page. Also, when your chat operators are not online website visitors have the opportunity to add their name and email address, converting them to leads. And allowing you to reply later on by email.